I used to stay at my cousin’s a lot when I was in junior high school. We would talk ourselves to sleep in her dusky, warm room and have all these long and weird dreams. Then we would tell all to each other and have good long laughs. I had a long night yesterday, as if I stayed at my cousin’s. A cooking contest on TV in which I had to suffer a terrible defeat..Receiving the same present on my birthday: a green teddy bear from my mom, dad and husband at the same time…Bade not being accepted to school…All those ridiculous dreams. 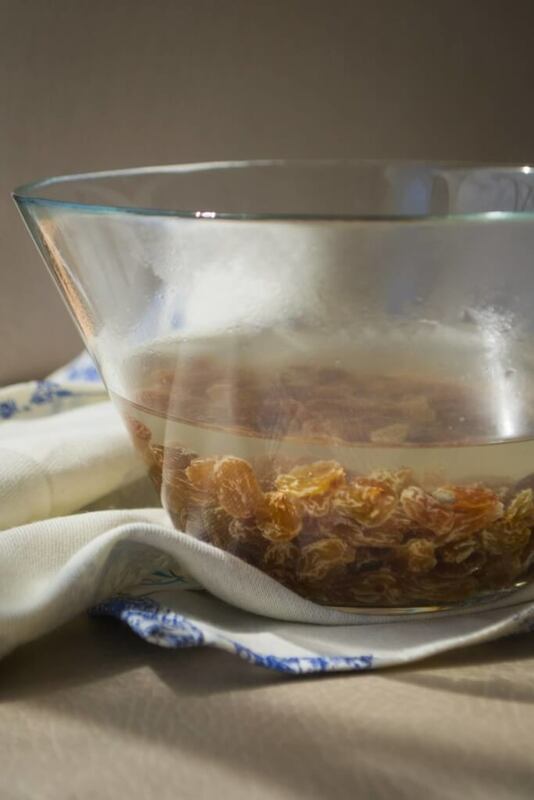 I have no idea how I made the connection but I soaked raisins in hot water and took a few photographs as soon as I woke up. Bright sun came through the windows and the heat assured me in such a comforting way that all the dreams I had the previous night were left behind. 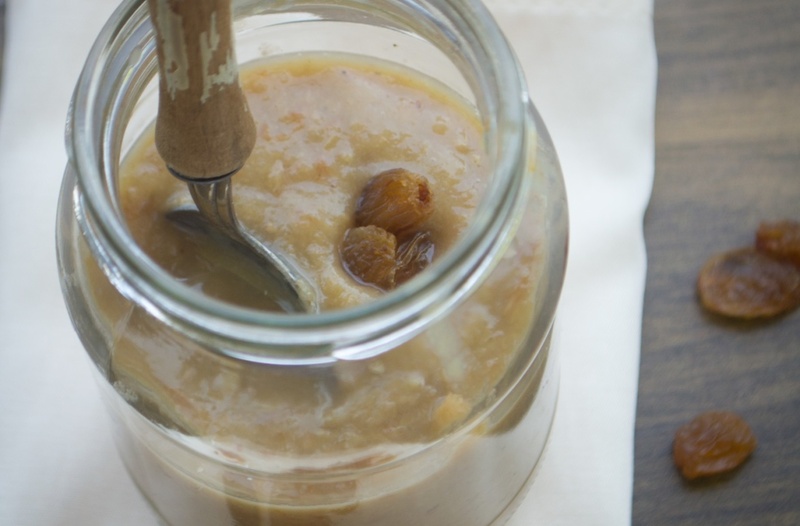 So, this recipe is a great alternative to dates -which I use a lot-. You can use this one instead in nearly all my recipes with dates in it. 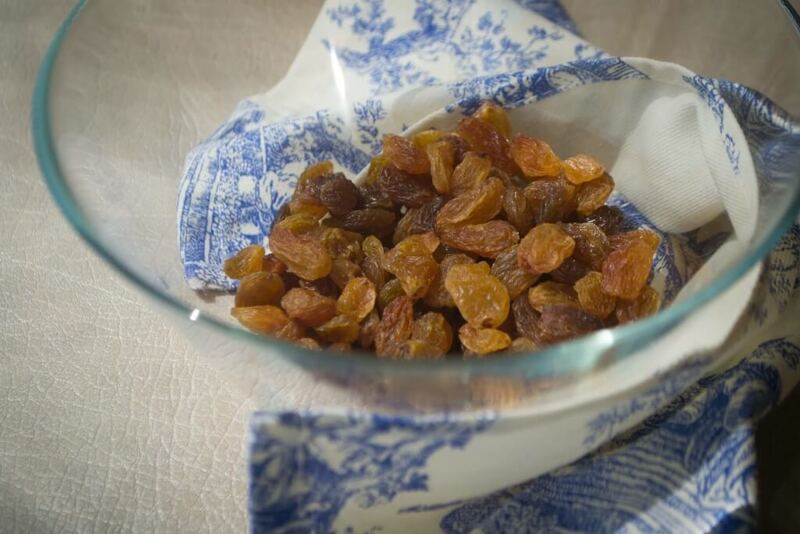 1-Soak raisins in hot water for 30 min. 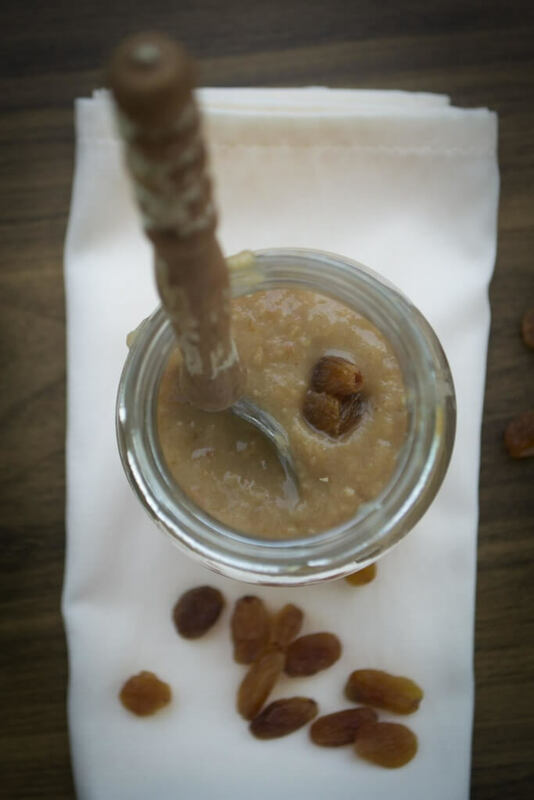 3-Pour the paste in a glass jar and keep in the fridge.